Sandy Stephens is the Stewart Heights Elementary School 2018-2019 Teacher of the Year. Sandy Stephens graduated from Meredith College in 1982 with a Bachelor of Arts degree in Psychology and Early Childhood Education. 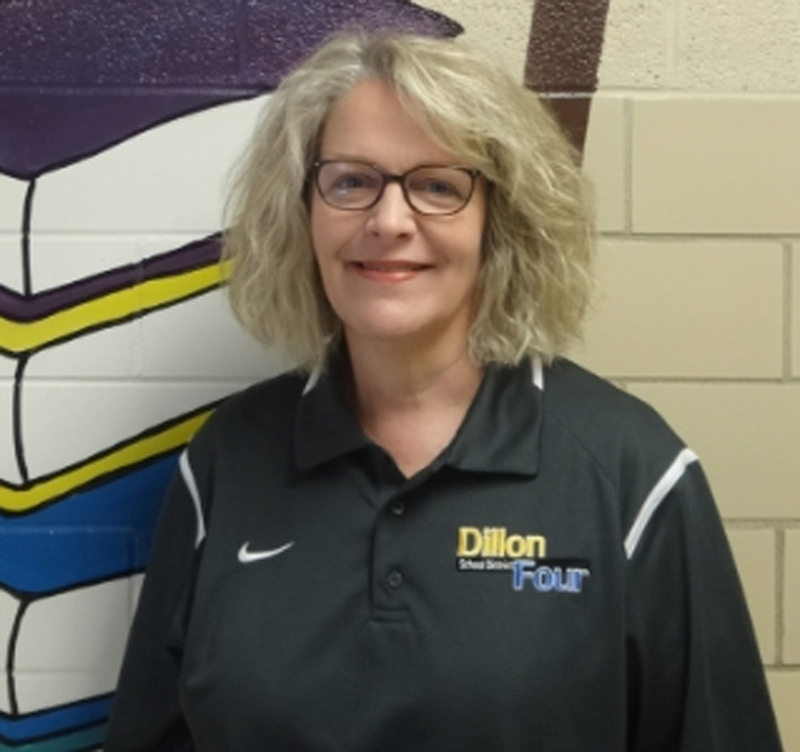 She began her teaching career at Stewart Heights Elementary School in Dillon where she worked as a first grade reading interventionist, kindergarten and first grade teacher. While teaching at Stewart Heights, Mrs. Stephens earned a Masters’ degree in Early Childhood Education from Francis Marion University. In 1994, Mrs. Stephens and her family relocated to Orangeburg, SC where Sandy taught second grade at Orangeburg Preparatory School. The Stephens moved to Florence, SC in 1996. While in Florence, Mrs. Stephens taught first and second grades at The King’s Academy until 2002. Then in 2002, Mrs. Stephens and her family once again returned to Orangeburg, SC where she taught fifth and second grades at Orangeburg Preparatory School until 2008. One last family move in 2008 brought Mrs. Stephens back to Stewart Heights Elementary where she began her 36-year teaching career. Sandy has enjoyed returning to Stewart Heights, teaching first grade, and most especially having the opportunity to teach many children of her former students. Mrs. Stephens is excited this school year to transition to a new position as Literacy Coach at Stewart Heights. Throughout her teaching career, Mrs. Stephens has used a variety of new and innovative techniques to teach reading. She believes that becoming a proficient reader is the foundation upon which all future learning is built. Sandy enjoys the opportunity to mentor new teachers and guiding them in helping their students.